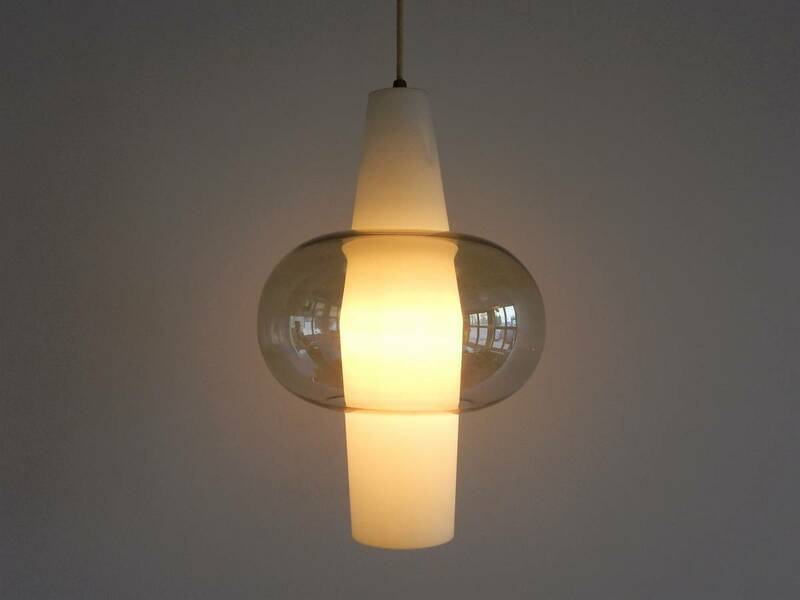 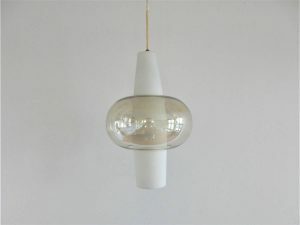 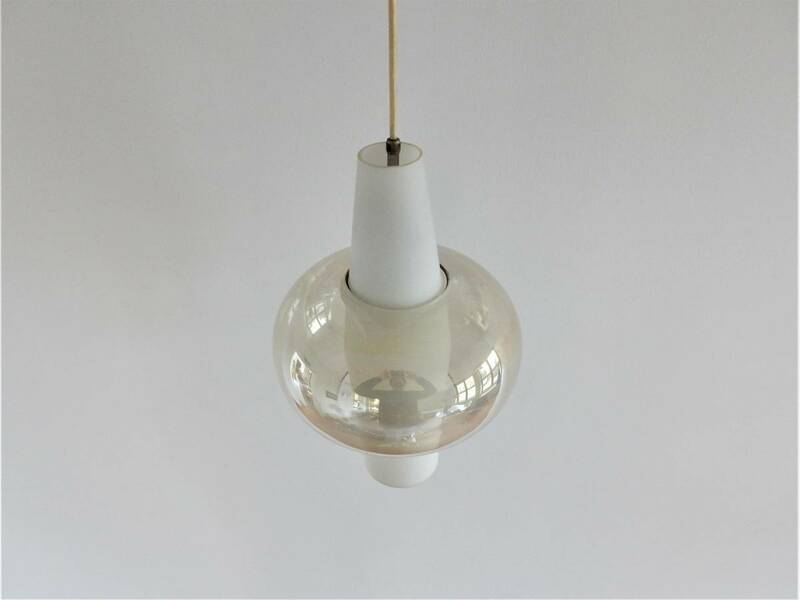 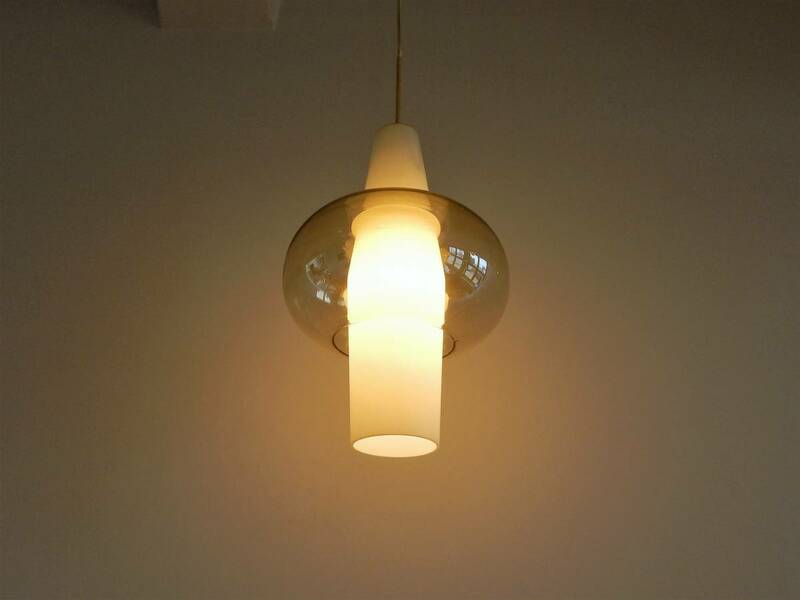 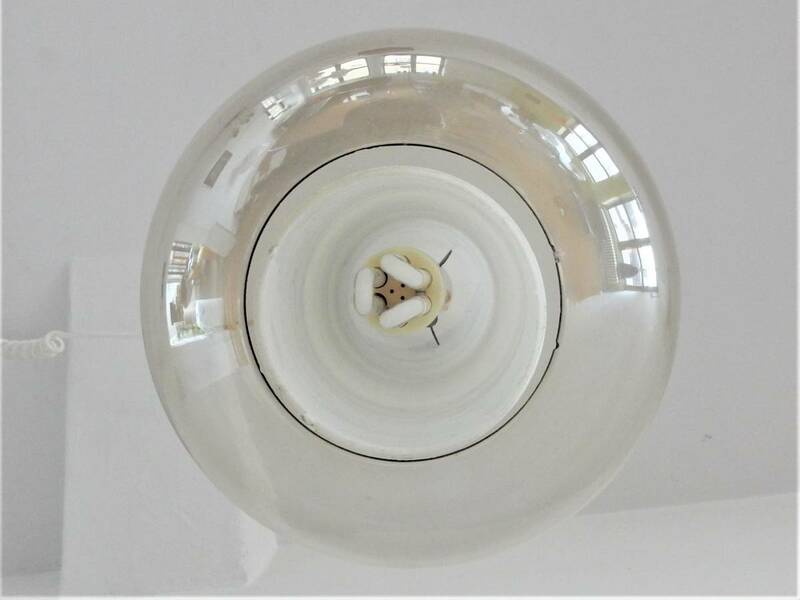 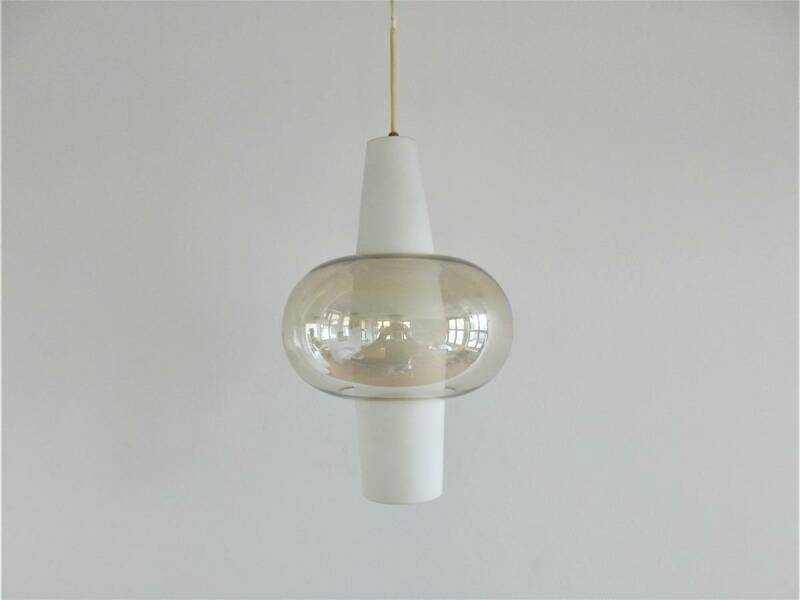 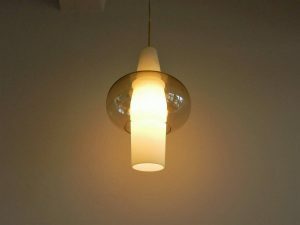 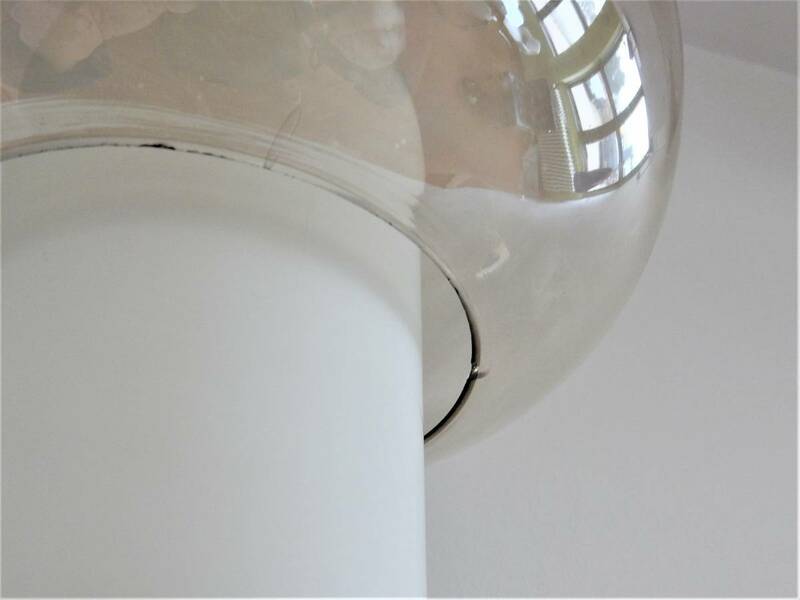 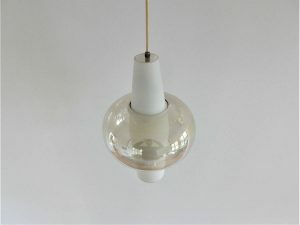 This NG37 E/00 pendant lamp, made of white satinglass and oil-coloured smokey glass, is a design from Philips. It is in a good condition with a small cuttig chip in the coloured bowl as you can see in the pictures. 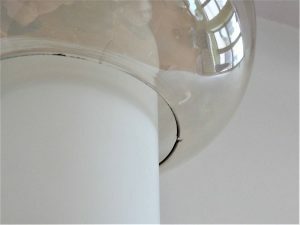 Documented in the Philips catalogue of August 1960, page 65.